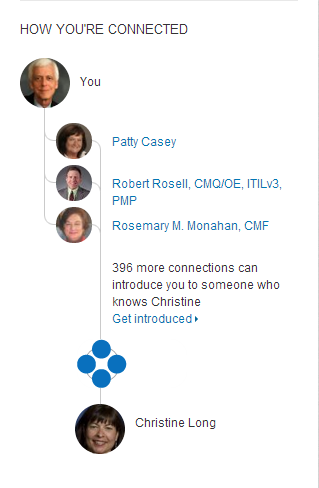 Do You Use “People You May Know” and “How You’re Connected” on LinkedIn? strength or quantity of connections. You choose who you want to introduce you to this new connection. Be clear about why you’re asking for an introduction. Be professional and give a way to say no. connect with. Hopefully the second degree person you want to connect with will approve your connecting.